Will Live-streaming throw our privacy completely overboard? The world of social media is changing at a quick pace and some innovations make it even shake in its foundations. It has been touted that 2015 was going to be the year of the video. But what is happening now is just mind boggling. Personally, I love it! Live-streaming has just gone personal! Meerkat and Periscope are among the shakers in this field. 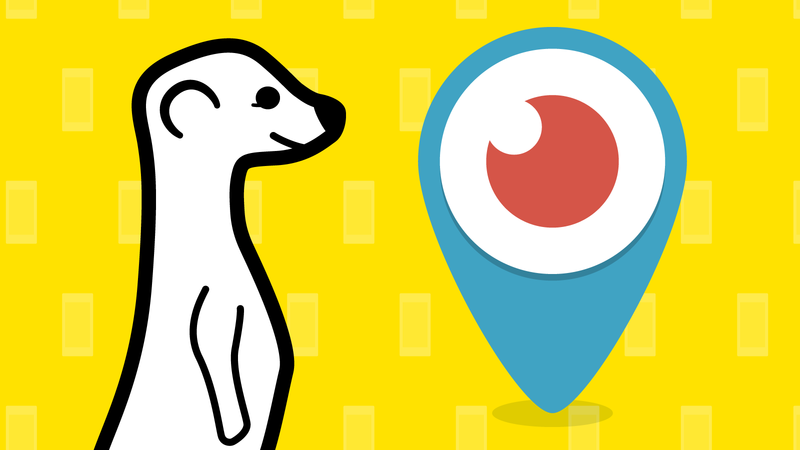 What is meerkat or Periscope? Live-streaming is nothing new but personal live-streaming surely is. 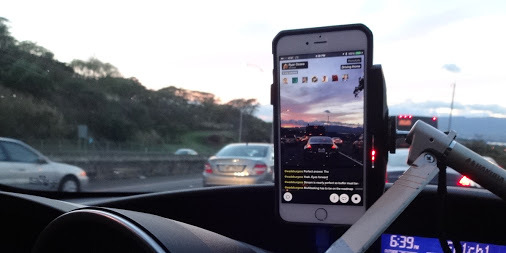 Meerkat and Periscope are personal live-streaming video apps using a twitter account to rally viewers and share live video content. We are even more at the point of being a reporter with camera in hand (our smartphone) than with pictures. And yes, today the service is only available for Iphone users. Below is an infographic comparing the 2 main players. Meerkat was the first to jump the gun and soon had many followers (over 100K in less than a month). But then came along Periscope (by Twitter) and the steep rise stopped in favor of Periscope. Who will be the winner? I guess the app that gets soonest on Android/Microsoft, I think! 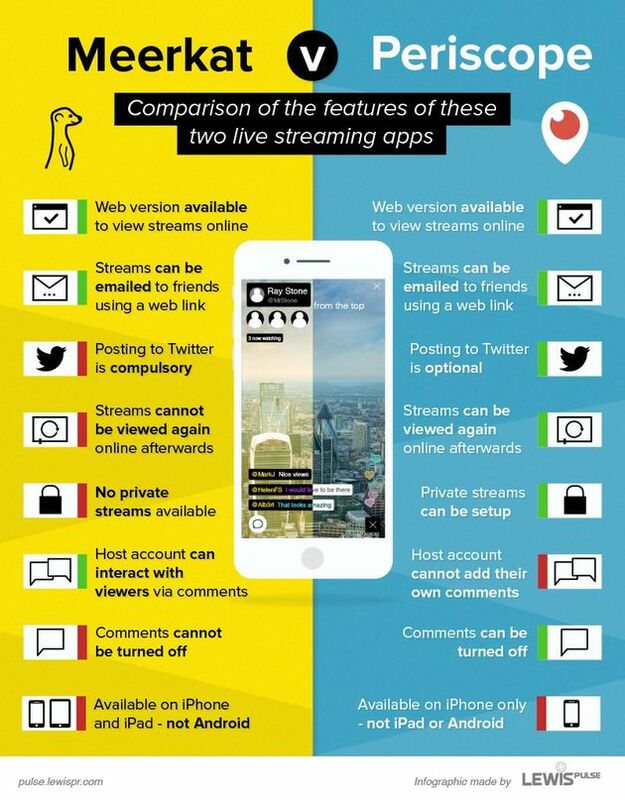 The potential of live video streaming is huge. Creative marketers will be able to feast on new things they can do starting with streaming product launches, product demonstration, events, interviews, promotions and much more. However, the biggest issue still has to be tackled. Privacy is hitting yet another tilting point. The service claims not to store the video but are you really sure? I would suggest you read these Terms of Service agreements carefully. Well, what if people start streaming live video from a paying event? Of from a soccer game where a TV station has paid the screening rights? What if you are filmed and have not given your consent? What if people start streaming video from places where disasters have happened? These are all situations that will raise the bar in the privacy game. And yes, the first events where Meerkat was banned are a fact. 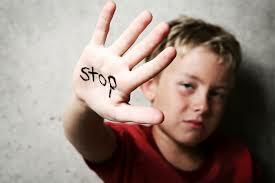 But how can you stop this? You can’t ask people to check in their smartphone when they come to your event. Interesting times ahead! Finally a last thought. If this service would have been offered by Facebook, the world would have been up in arms around the privacy issues but for now people focus on the gadget level of these apps as if there is no issue. We hear a lot of speak about using your common sense or like Meerkat puts in its rules “Be Kind”. We all know where that road leads to. Let me be clear that I am very excited to see these evolutions and technology appear. I will be a supporter from day 1 but will keep a close eye on the dark side of this technology. I wonder what you think about this technology and the privacy issues that it entails. Whether you like it or not sharing content on your LinkedIn company profile will help your company’s visibility and allow its employees to share valuable company approved content via their personal profile. However, most companies and people have no idea what to share. Therefore I have brought together these 50 posts from 33 companies and organisations as a source of inspiration on what to share on LinkedIn. When you take a look at this list, I am convinced you will not be able to say that you have no content to share anymore. LinkedIn company pages are essential for branding and for building and sustaining a following and community. LinkedIn is providing B2B companies with a unique opportunity to present themselves as thought leaders and generate meaningful conversation about their businesses. Sharing the above content will increase readership, create visibility and encourage employees to share the content in their professional network. So what are you waiting for to post every day on your LinkedIn company profile? You really want me to pay for LinkedIn? I recently read yet another article about 8 Reasons Why You Should Upgrade To LinkedIn Premium. I agree with the fact that the advanced search of LinkedIn is very powerful. If and when you are working in a smaller type market (Belgium with 2.3 million members), these extra parameters are of no value. Tip : just use the keyword search to get better results. You will not be disappointed. Okay, you can see more than 100 profiles which means that your search is not specific enough. Let’s be honest you do not have the time or even energy to scroll through 30 screens. You are not doing this on Google search so why would you do it on LinkedIn. Tip: Be more specific in your search criteria. There is something to be said about that were it not that few people (that I know or have been in my classes) even know about this function. It is very powerful to detect who in your network has changed his/her profile and now falls into your “target audience”. To my knowledge few people are even coming close to using this function. Heck, most of them have not even discovered where this button is. And let’s be real, in my neck of the world people ask you who to contact as reference. Tip: Get some recommendations and endorsements of your skills. You could add to your summary that you are willing to provide references (if needed). Of course, this is one of the high flyers when it comes to paying for LinkedIn. Is sending emails to someone you do not know really such a good idea or practice? 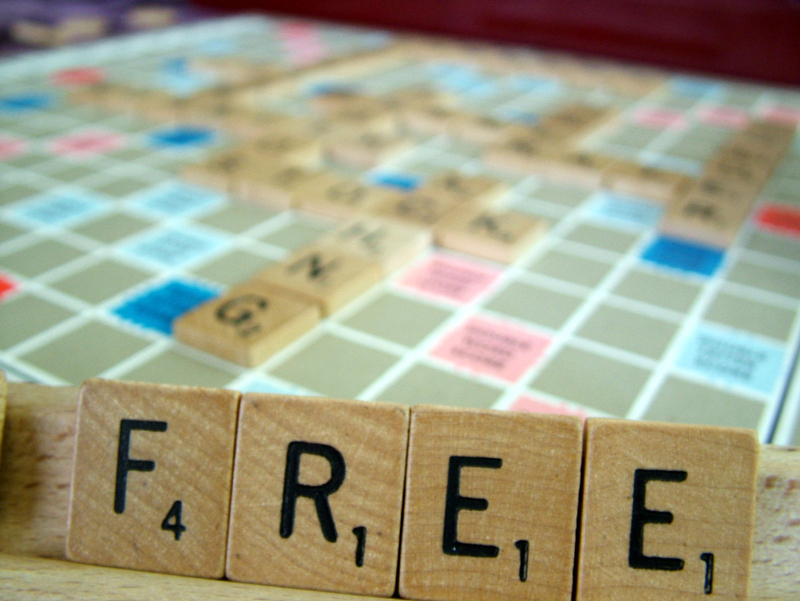 And by-the-way, did you know that you can send an email to anyone for free? Tip: Just join one of the groups that person belongs to and your email is free! Yet another one of LinkedIn’s biggest secrets. Like in real life you can be introduced by someone you mutually know. The quality of the network of many LinkedIn members is very good so they can do this type of introductions. Great feature but rarely used. I rarely get a request (which I gladly pass along – try me!) even though I do have a large network. Since this feature is hardly known few use up the 3 introductions. Tip: Use your monthly 3 free introductions and be open to pass introduction. Yes, it can be frustrating not to see the details of your 3rd degree contacts. However, these people have a public profile which can be easily found back through a simple google search. All you have to do is enter the First name, initial and company and Google will give you the public LinkedIn profile. Here you will find the full story. Have you ever tried? Tip: Try a Google Search on one of your 3rd degree contacts. Yet another top reason to pay for LinkedIn. You can see everyone who visited your profile in the last 90 days. Do you have any idea how many people visit your profile on a daily? I dare to tell me it is over 5 which is what you see when you have a free subscription. And no, you will nog see more from the anonymous people who view your profile. Tip: Check your “Who viewed your profile” daily and you will catch all viewers. Are you really waiting for unknown people to send you emails on LinkedIn? Well, what a vain person are you? Unless you are a recruiter or salesperson working in a very large community, it makes no sense to pay for LinkedIn. Stretch the free version of LinkedIn to its limits before you decide to pay. Yes, I have recently signed up for a premium account for Sales Navigator. As part of my social selling practice, I need to appraised of its functionality. The jury is out whether this will actually bring me the so much awaited ROI. Will keep you posted on my results! What is your Twitter clockspeed? Salespeople are embracing social selling. There are a lot of benefits to adding social to your traditional sales process which has been covered in many different articles. These articles cover things such as researching your clients, content curation, relationship building and even lead generation. After doing some research of where your target audience is , creating social (selling) profiles is easy. Especially with all the good advice, tips and tricks you can find on the internet. But then the next dilemma’s arrive on the scene: what content to post where, how many posts and how much time will this take? Of course, there is no unique and one answer to these questions. There are some articles out there that say you will be spending 20 – 60 minutes per day, but is that realistic? Looking at the forerunners of social selling might give us some more insight. Where better to look for inspiration on the above questions than to the list with the Top 30 Social Salespeople. Today, I will focus on what they do on Twitter. 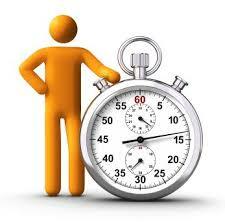 There are many posts about how many times you should tweet per day. One thing that seems to jump out is that the quantity seems to be going up. In the past it was once a day but today the number is likely going up to 3 to 8 tweets a day. This includes of course your tweets, retweets and replies to others. But how many are our experts averaging? A quick analysis gives us a range between 4 and 36 tweets per DAY! The average being 17. One of the reasons why this number could high is because these experts are taking part in twitter chats and are much solicited by their “fans” but that could also be considered as social selling. Digging a little deeper, it seems they are tweeting every day of the week with Saturday and Sunday at a 1/3 or less of the weekday volume. And most tweet around the clock with a real dip around 2-5 AM. I assume this has to do with their worldwide audience and their use of scheduling tools. And then there is the lifespan of a tweet. After some digging I found that this varies between 10 and 18 minutes. Conclusion: There is, of course, no exact number but it seems that you need to tweet 10+ times/day or otherwise said “once every hour” during the workday. And possibly 3 times/day during the weekend. 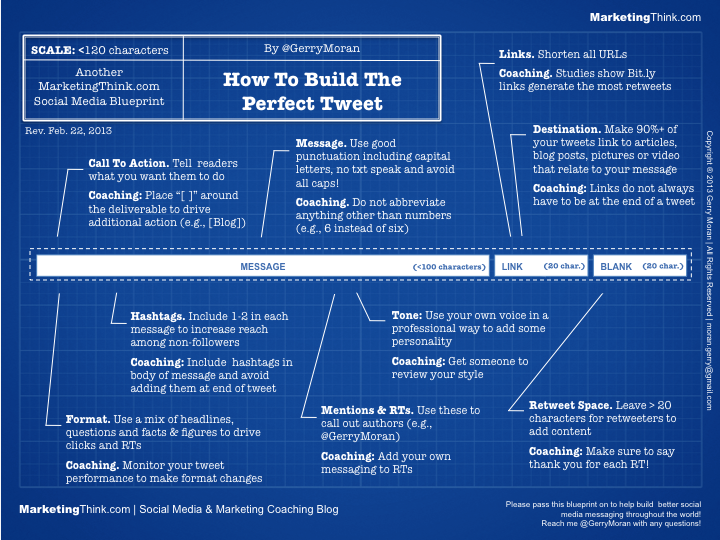 There is no such thing as a perfect tweet, but common knowledge has it that every tweet should have a good text with a call to action, a link to more content and one or more hashtags. To make the tweet complete, you might add a twitter handle as part of a reply or general mention. Unfortunately, most tweets do not adhere to this scheme. Our experts manage include a link to more content in about 15% to 90% of their tweets. The average being one tweet out of two having a link. When it comes to the use of hashtags, we see a similar behavior. The experts average between 0 and 4 hashtags per tweet. Conclusion: Every tweet you send out should have at least one or possibly 2 hashtags. Every other tweet has a link to additional content and a good hashtag. Average time to create and send out a tweet: 1 minute (and yes this can vary) but keep in mind that some thought needs to go into the text, call to action and hashtag(s) to use. If you include a link in your tweet or you retweet a tweet with a link, you need make sure you have read the content of the link which I will count as 1 minute per link. Since half the tweets contain links this will consume some time. Conclusion: Taking the above bullet points into account, you will spend 20 minutes or more per day on your outgoing tweets. Of course, sending out tweets (like sending out email content) is only the beginning of the integration of social into your sales process. You will be investing time into listening, content reading /curation and actual relationship building. More to follow in future posts. So how much time do you think you invest into your social selling routine? Are you into Twitterstorms and Tweetchats? We all know that Twitter was conceived to exchange information in short message format. But it has evolved to much more. There are Tweetstorms, Tweetchats, Twitterwalls, etc., which are creating a lot of commotion about the usage of Twitter. People are getting disenchanted with the users of these practices but are they really all that bad? Maybe not? And what strategy should follow to counter these negative comments? A Twitter storm is stretching the Twitter term Microblog to become a real (full) Blog. Twitter was certainly not build for this with its 140 character limit. However, some people are splitting up their text and start splitting their story into separate messages. Each item is numbered so that the reader can follow the thread. Of course, your followers are getting a lot messages in a very limited timeframe thus polluting their Twitterstreams. However, with so many people on Twitter, it is great way to spread your story. Will this change how people are using Twitter? Maybe not… Who knows you might even some extra followers, though unlikely. The biggest danger is that due to fast pace of tweeting, many of your followers might get disenchanted and start unfollowing you. My thoughts: Personally, I think you have more to lose than to win by creating such as storm. If you have a (long) story to tell, I think you should be using a real blog and use Twitter to direct traffic to your blog. 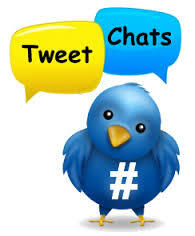 A Tweetchat is live moderated Twitter event around a certain topic using a specific hashtag. Tweetchats are planned events which are announced on Twitter and on websites. 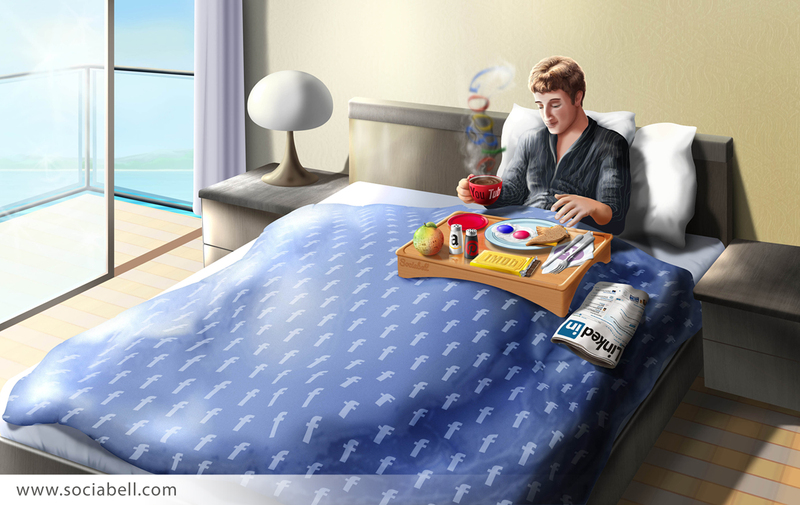 Typically, there are 5 to 6 questions put forward that will be asked during the course of 1 hour. To participate, all you need to do is tweet during the set times using the designated hashtag. Of course like with a webinar, It’s also possible to just follow the conversation by searching the hashtag without engaging. One thing you have to remember, is that during a Tweetchat in which you actively participate, you will also create a large number of tweets thus also polluting the streams of your followers. Again this might lead to people unfollowing you. However, if they pick up on the hashtag and discover the great conversation, it could be considered as a good thing. Information gathering – much like a webinar you get and can absorb knowledge about a certain topic. People share freely and publicly information. A great place for learning! Contribute, Collaborate and Engage – Twitterchats provide the ideal platform to exchange ideas, provide content, add value and bounce ideas off eachother, ask questions, etc. in a specific (public) spotlight. Get more relevant followers – everyone on the chat can relate to the topic. So by sharing relevant and valuable information with other members on the chat, you can easily discover new interesting people and increase your twitter followers. I think you need to think carefully about starting a Twitterstorm or Tweetchat from your personal account. There will big spikes in you twitter activity and we all know that your followers are not waiting for this. Maybe the solution could be that you create a clearly defined account for these types of twitter activities whereby you make sure there is a good connection with your personal account. This way you can participate fully and not disenchant your followers. What do you think about Tweetchats and storms? And my suggested approach? I love to hear your reaction! 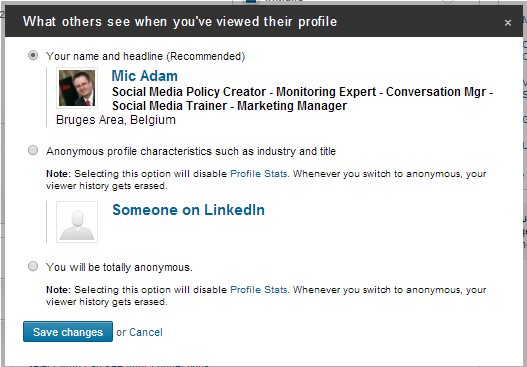 Why “Who viewed my profile” on LinkedIn is crap! When you use linkedIn we all love the feature “Who has viewed our profile”. Though this is a key feature on LinkedIn and in a social selling approach, it is also a great source of frustration. But first something else I am wondering about connected to “Who has viewed your profile”. Recently I saw a post that someone who completes their “Summary” get 10x more views on LinkedIn. Watch out there is a catch which I will come to later. For now, no one nor any article can explain me if this is true or why? Of course, I believe you need to complete this section in your profile since it is your evelator pitch. But what the effect is on being found, I do not really get. Well secretly, I do. Anyone (from LinkedIn) care to comment and back it up with proof? And now for my catches. LinkedIn is all about networking. And still people decide they want to remain semi-anonymous or anonymous. It is my experience these people are either my competitors or recruiters. I can’t t get my head around the fact they are not open to being identified. 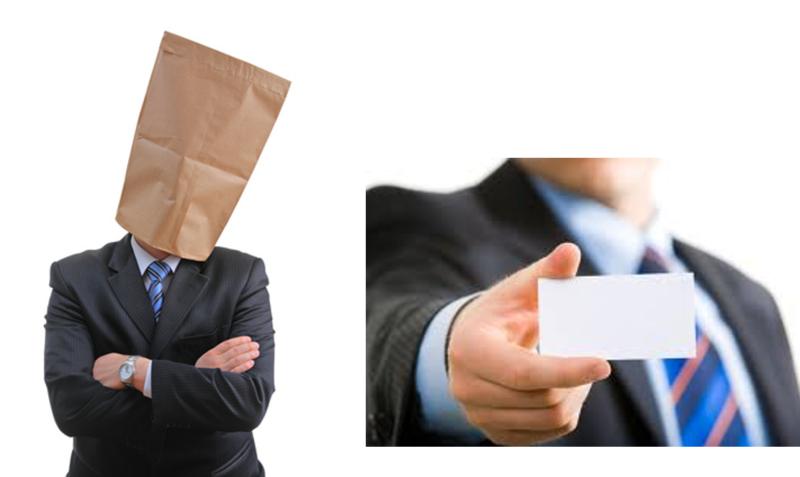 I wonder if they go to real life network meetings with a bag over their head or hand you a business card from someone else? Strange! I guess they have a good reason which I fail to understand, but that is my problem and yes, my frustration. Let me tell you I will let you know if I viewed your profile and who knows maybe we can help eachother! That is the true nature of networking and LinkedIn. But recently I ran across another interesting issue. The count of people who viewed my profile seems to be different depending on the language interface I use. Below is a screenshot of my profile views using the english (342) and dutch (559) interface. Very strange indeed. It seems LinkedIn makes me more popular in NL than EN. And yes, they are the same people. Out goes my trust in LinkedIn statistics! Anyone care to enlighten me? Let me be clear, I am a LinkedIn addict and believer but sometimes we need to step back to put it all into perspective. Of course, I will continue to use the “who viewed my profile” to reach out to people and conduct business. I love to hear your views and comments! When you get involved in social media, you quickly learn that it requires regularity and discipline. Creating a daily routine is of course one of the best ways to approach this. Over time I have together a 30-minute routine. Mark emails to be treated during the workday. Check emails from LinkedIn groups for good content and mark for later reading. Review Google Alerts and mark interesting items with GetPocket. Review social media monitoring dashboard and react appropriately. Go to Hootsuite and review monitoring columns and react appropriately. People Who viewed your profile is a perfect opportunity to start a conversation or even get connected (selectively). Contacts show people that have a New job, Birthday or Work Anniversary. This again is a great opportunity to start a conversation. Review LinkedIn Inbox for messages and connection requests. Having created this routine, I am able to start my day informed, organized and inspired. Since I have created this morning, I have also developed a similar approach for the evening routine. The evening routine focuses more on content generation but I will discuss this in another blog post.